I loved this movie. No, seriously. I loved it. It surpassed my expectations in almost every conceivable way. The characters (yes, even the new ones) were fun and engaging. The thrilling Star Wars action component was on point. Alden Ehrenreich and Donald Glover nailed the Han and Lando characters, while at the same time adding a little something themselves. It had he obligatory scenes you expected to see, i.e. Han meeting Chewie, winning the Milennium Falcon, etc. But it didn’t pile on the nostalgia the way Rogue One did. I left Solo with a smile on my face, which is more than I can say for either Rogue One or The Last Jedi. So let’s do this. Punch it! – Ron Howard. The production of Solo was mired in controversy. 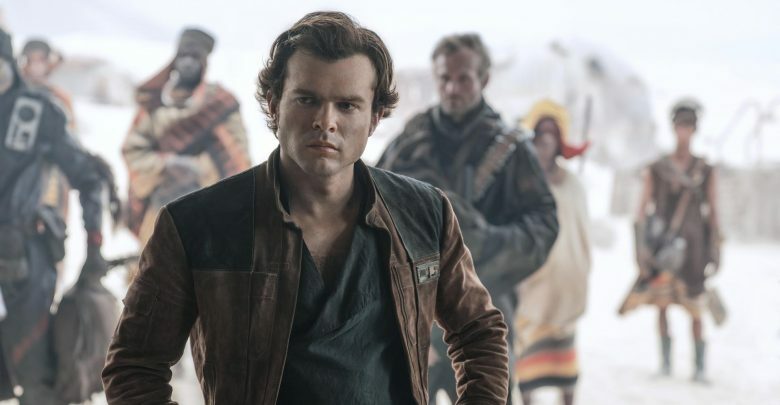 Directors Phil Lord and Christopher Miller departed during filming, citing “creative differences.” Word broke of Lucasfilm bringing in an acting coach for Alden Ahrenreich, the actor who plays Han. That didn’t exactly inspire confidence. Toss in the polarizing reaction The Last Jedi received, and it was looking like it was going to be a disaster. I’d be very curious to learn what exactly Ron Howard changed about this movie. Because I don’t think we can deny just how vital his touch was to the creative success of Solo. Not just because he’s directed movies like Apollo 13, A Beautiful Mind, and Frost/Nixon. But because he’s got such a long-lasting friendship with George Lucas. He’s had direct access to the mind that sparked the creation of this whole phenomenon. So I would imagine few filmmakers are more qualified to create something faithful to his vision. – “Unnecessary.” I don’t understand the critique that Solo is unnecessary, or adds nothing new to the franchise. Yes, the movie largely plays into pre-established exposition. But if you go by that logic, what was the point of even attempting to make the prequels? Or Rogue One? What exactly qualifies one of these movies “necessary?” What does that even mean? Furthermore, Solo is hardly devoid of fresh ideas. But we also learn new information about Han, Chewie, and Lando. We’re also introduced to new faces, like Qi’ra, L3-37, Tobias Beckett, Enfys Nest, and Crimson Dawn. Hell, I was even partial to Rio Durant. In the end, Solo is fun. That’s what matters. It’s certainly all the “necessity” I require. – When Han met Chewie. Laying the groundwork for the Han Solo/Chewbacca friendship was a vital component here. Their relationship is one of the most important in the entire Star Wars saga. 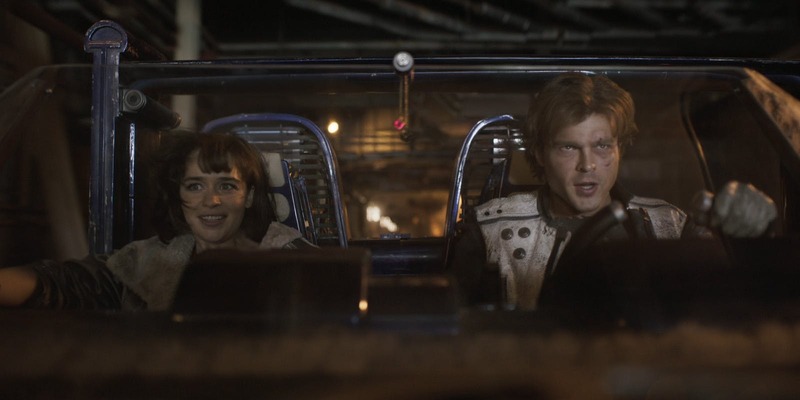 I was struck by the believably and downright simplicity of how Solo sets that up. They save each other’s asses a few times and build up trust to the point that a genuine friendship forms. Actually, I was surprised with how well Solo handled most of the pre-established stuff. Lando owning the Falcon, the card game, the Kessel Run. It all pretty much worked. At least it did for me. Consider how fickle fanboys like me can get about this stuff, that’s nothing to sneeze at. – No Jabba. No Mos Eisley. No Luke or Ben. Solo has no shortage of references, winks, or nods. The folks over at Red Letter Media speculated that the movie would end somewhere during the events of A New Hope, much like Rogue One did. Specifically, with Han in the Mos Eisley Cantina. It could very well have ended with Han sitting at the table, and a shot of Obi-Wan and Luke walking over. I was very pleased they restrained themselves in that respect. For that matter, while he’s referenced, we don’t see Jabba the Hutt in Solo. There isn’t even a mention of Boba Fett or Greedo. – Sequels. 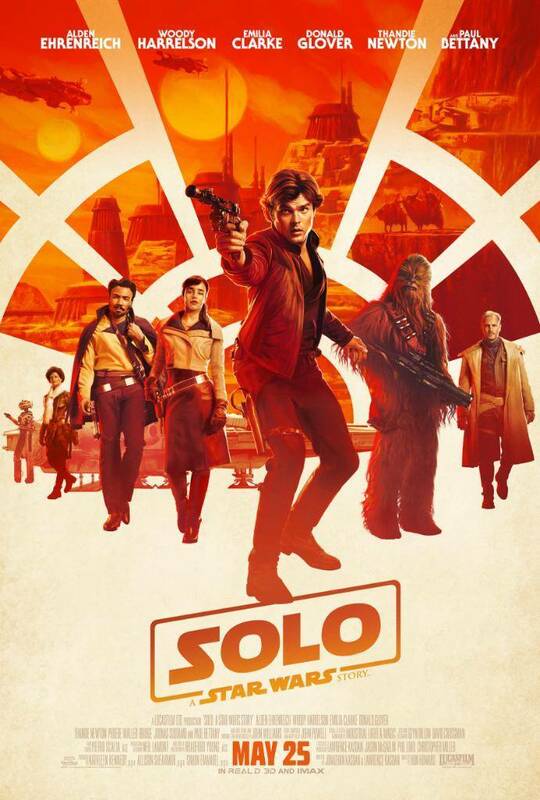 Solo leaves a lot of room or sequels, and even spin-offs. There’s already been talk of a Lando movie. There’s also a surprise return that comes about as far out of left field as you can get. If you’ve seen it, you know who I’m talking about. They can go in that direction for another Solo movie, but the returning character would also make for a heck of a box office draw in their own right. In the end, Solo wound up being the best case scenario for one of these “anthology” movies. It’s a hell of a lot of fun, stands up on its own, and paved the way for continued storytelling. This entry was posted in Movies and tagged Boba Fett, Chewbacca, Disney, Donald Glover, George Lucas, Greedo, Han Solo, Lando Calrissian, Lando Calrissian pansexual, Lando movie, Lucasfilm Ltd, Millennium Falcon, Mos Eisley Cantina, Movies, pansexual, Qi'ra, Rogue One: A Star Wars Story, Ron Howard, Solo: A Star Wars Story, Star Wars, Star Wars movies, Tobias Beckett, Woody Harrelson on 05/28/2018 by primaryignition.